Jay Bahadur NPR coverage of Jay Bahadur: News, author interviews, critics' picks and more. July 19, 2011  Jay Bahadur wanted to know firsthand how modern pirates live and operate, so he traveled to Somalia. He spent weeks meeting with pirates and government officials. 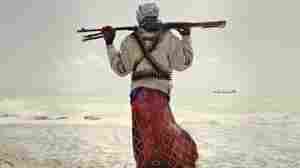 He tells their stories, debunks myths and examines the rise of piracy off the Somali coast in his new book, The Pirates of Somalia.